Friendship Heights is a small, upscale neighborhood in the northwest quadrant of Washington, DC that borders Chevy Chase and Friendship Village in Maryland. Non-residents know the area largely for its shopping appeal and high-end retail stores including Dior, Gucci, and Louis Vuitton on Wisconsin Avenue just over the Maryland border. 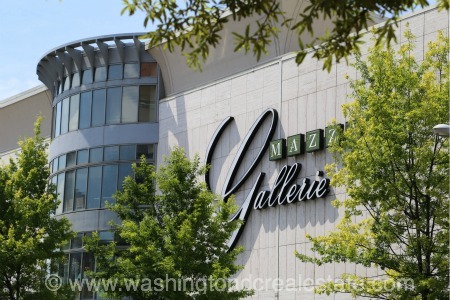 The neighborhood is also anchored by two malls – Mazza Gallerie and the Chevy Chase Pavillion which also houses an Embassy Suites Hotel. Read more about Friendship Heights real estate. Housing options include a mix of single family homes, townhomes and luxury condo and apartment buildings. The latest condo projects include the 107-unit Chase Point Condominiums at 5401 Western Avenue as well as The Harrison at 5201 Wisconsin Avenue with 49 units. Condos are a popular option for empty nesters and young, childless couples looking for easy access to the Red line but who desire a more suburban feel. Friendship Heights is served by the Friendship Heights Metro Station on the red line. Borders run from Fessenden Place to the south, River Road and Western Avenue to the west and north, and 41st Street and Reno Road to the east.